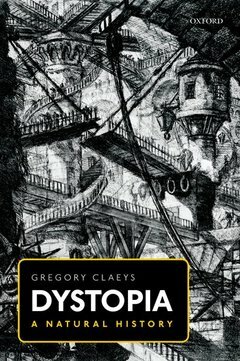 Dystopia: A Natural History is the first monograph devoted to the concept of dystopia. Taking the term to encompass both a literary tradition of satirical works, mostly on totalitarianism, as well as real despotisms and societies in a state of disastrous collapse, this volume redefines the central concepts and the chronology of the genre and offers a paradigm-shifting understanding of the subject. Part One assesses the theory and prehistory of 'dystopia'. By contrast to utopia, conceived as promoting an ideal of friendship defined as 'enhanced sociability', dystopia is defined by estrangement, fear, and the proliferation of 'enemy' categories. A 'natural history' of dystopia thus concentrates upon the centrality of the passion or emotion of fear and hatred in modern despotisms. The work of Le Bon, Freud, and others is used to show how dystopian groups use such emotions. Utopia and dystopia are portrayed not as opposites, but as extremes on a spectrum of sociability, defined by a heightened form of group identity. The prehistory of the process whereby 'enemies' are demonised is explored from early conceptions of monstrosity through Christian conceptions of the devil and witchcraft, and the persecution of heresy. Part Two surveys the major dystopian moments in twentieth century despotisms, focussing in particular upon Nazi Germany, Stalinism, the Chinese Cultural Revolution, and Cambodia under Pol Pot. The concentration here is upon the political religion hypothesis as a key explanation for the chief excesses of communism in particular. Part Three examines literary dystopias. It commences well before the usual starting-point in the secondary literature, in anti-Jacobin writings of the 1790s. Two chapters address the main twentieth-century texts usually studied as representative of the genre, Aldous Huxley's Brave New World and George Orwell's Nineteen Eighty-Four. The remainder of the section examines the evolution of the genre in the second half of the twentieth century down to the present. Born in France, and educated in Canada and the UK, Gregory Claeys is Professor of the History of Political Thought at Royal Holloway, University of London. A historian of British radicalism and socialism from 1750 to the present, he is the author of eight books and editor of some fifty volumes, mostly of primary sources. He has written studies of Robert Owen and Owenism, Thomas Paine, and John Stuart Mill, as well as of utopianism. He has been visiting professor at the Australian National University, Keio University, Tokyo, the University of Hanoi, and Peking University.